Jason Becker Creative | Can We Postpone the Rest of the Trip and Stay Here? 01 Sep Can We Postpone the Rest of the Trip and Stay Here? I have had trouble coming up with something to say in a blog post because there is too much to write about! This life in Hanoi is completely opposite from my Mukilteo life, yet I feel so comfortable spending my days here. I have found a place where I feel at home, even though I can’t understand the language. 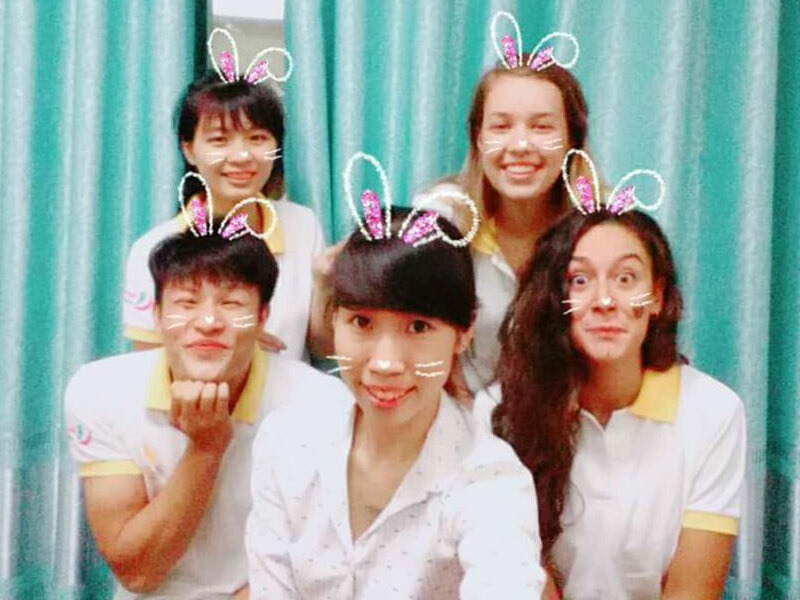 The university students I teach have become friends, mostly because we are similar in age, and because of how eager they are to learn English (and impress me with their pronunciation). My first week of teaching could not have gone better. I got to teach two classes of university-age students and one class of 7-8 year olds. The little kids were a little hard to manage, but I can see that they have the same motivation to learn English as the older kids. The first of my two older classes is half girls and half boys. Like someone might have said already, I always felt nervous for the class beforehand, but the moment I walked into the classroom, my whole day was lifted and I left with a feeling of accomplishment and a really great mood. 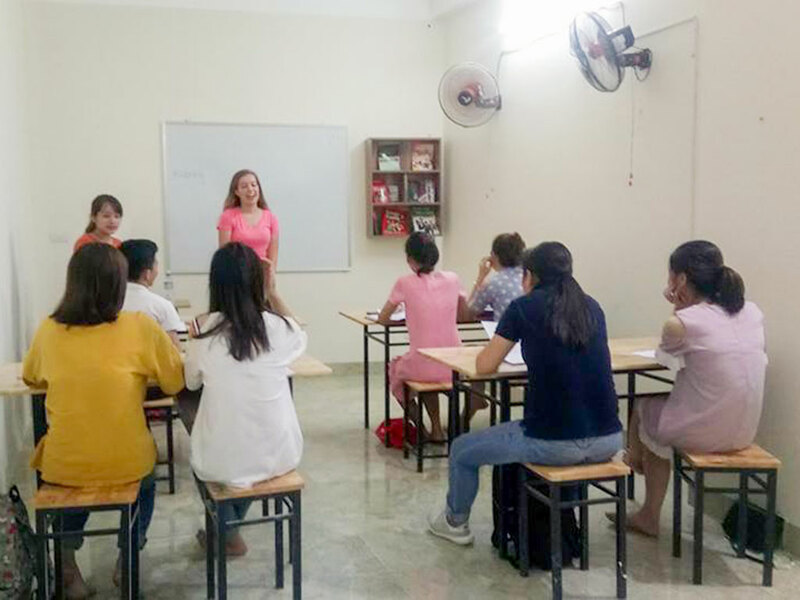 This first class is so eager to learn English, and sometimes we would spend 10 minutes of class trying to pronounce just one word correctly (the most recent one was “work”). The second of the two classes is all boys and one girl, and I absolutely love that class, because the one girl takes charge and is the “best” speaker in the class. She sometimes orders the boys around when they’re being too rowdy, and it’s so fun to talk to her during class. The boys are such comedians, (they’re all 19-22 years old) and they show their English skills by trying to impress me most of the time, or thinking of bad pickup lines. It has become common for Maya and I to be asked to dinner or beer by some of our students, it’s so funny! (Dad also gets asked to beer by some of his guys, the only difference is he actually goes.) 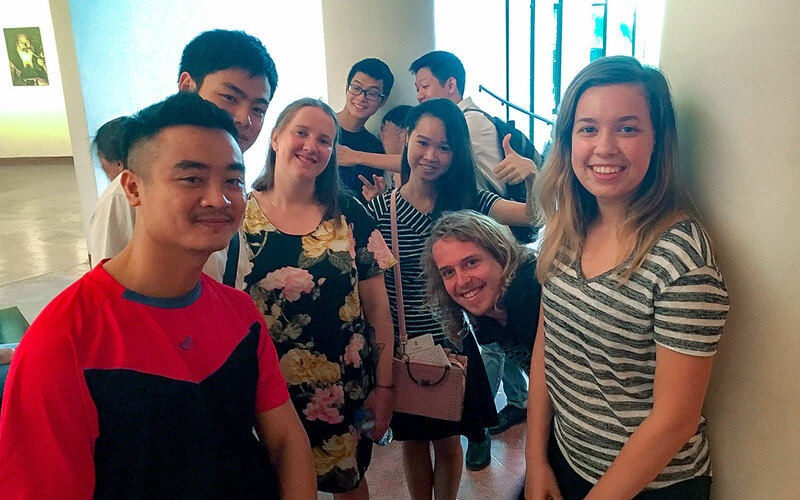 Overall, teaching class for me is more like running an English Club and hanging out and laughing with the students. I am seeing and hearing about everyone from home starting school or getting settled in their dorm for college and it makes me have a strange sense of what might have been! I am excited for all of my friends who are starting this new year, but that part of my life seems so far away. It’s weird to think about. I miss some things about Mukilteo life, but I think it’s good to have this break from it. I’m realizing the differences between my friends here and my friends back home, whether it be good or bad. I really appreciate and have noticed the way my mind has been opened. 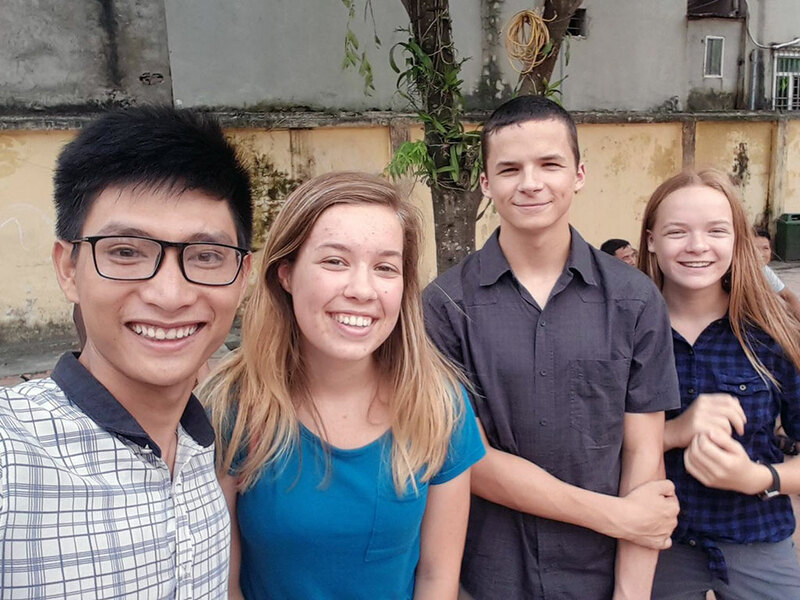 Just in these short two weeks I have met and ate meals with people from many different parts of the world, and it has opened my eyes so much. 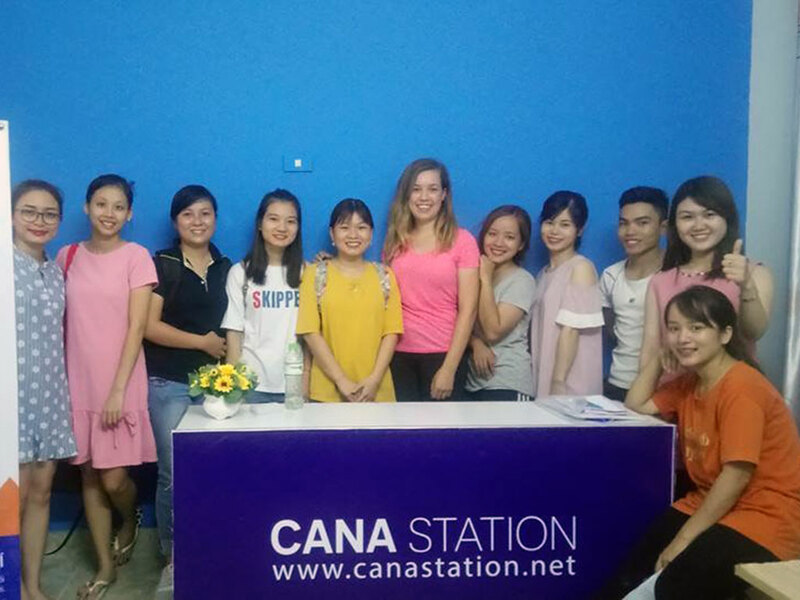 I love the sense of community in our apartment we share with the other volunteers and I love the kindness of the Vietnamese people I have met. I will miss this first stop a lot but I am also eagerly awaiting our next adventures!